CFDs or Contracts for Difference is a type of derivative product that enables traders to speculate on or hedge on the price movement of financial assets. They include equity indexes, shares and commodity futures. The trader doesn’t need to own the assets, and thus they won’t have to pay associated costs such as account management fees, commissions, and stamp duty (in specific countries). A trader’s profit or loss from CFD trading is the difference in buying and selling price, plus or less any finance charges. Similar to share trading, CFD prices are quoted as a Bid (selling price) and Offer (buying price). CFDs are traded on margin. This means to open a position a trader has to deposit a small portion of the full amount of the trade (initial margin). The initial margin required will differ in different markets. On average it’s between 10%-25% for an equity CFD trade and 2%-5% for an index or currency trade. In retrospect, CFD trading offers the chance for higher returns on the initial deposit than paying the full amount. But your potential losses will magnify if the price of the underlying asset fluctuates. Both types of trading have a similar trade execution process. Traders can enter and leave the market with ease in both rising and falling markets. Both trades (CFDs and Forex) are performed on the same platform, with identical charts and pricing methods. Trades are executed in the over-the-counter (OTC) market. OTC functions electronically within a network of banks with no physical location or central exchange. The only cost of trading is spread in comparison to other types of trading instruments that charge commissions, and other trading fees. Neither CFD nor Forex trading entitles the trader to actual ownership of the underlying asset. For example buying EUR/GBP doesn’t mean you’re buying Euros and selling GBP. You’re simply speculating on the exchange rate. Similarly, when you buy a CFD contract on the FTSE 100, you don’t actually own the stocks in the FTSE index, but speculating on its underlying price. CFD trading involves different types of contracts covering diverse markets such as indices, energy, and metals. Forex focuses on currency trading – trading one currency against another. CFD trading is determined by specific factors, such as supply and demand of a certain commodity or trend changes in business. Forex trading is guided by global events such as employment shifts or international political changes. Why do people trade in CFDs and what are the benefits? Here are some of the reasons. Leverage: Leverage enables traders to enter a CFD contract using a fraction of its actual value. When used wisely, leverage can boost your potential gains which are pegged on the full leveraged amount of the trade. The opposite effect is also true whereby a negative result can amplify your losses. Profit in rising and falling markets:By using a variety of skill-based-approaches, experienced CFD traders can generate returns which are independent of the direction of the underlying markets. CFD traders can make a profit in a rising market by buying (going long) that CFD, or in a falling market by selling (going short) that CFD. Diversification: CFDs enable traders to trade in different markets such as foreign equity, indices, and commodities. This enables traders to diversify their trade across different markets. Convenience: Traders who are familiar with Forex trading don’t need to acquire new skills. They can use the same platform and tools to trade equity, index, commodity, and CFDs. No fixed lot size: CFDs are not rigid in their fixed lot rule. The flexibility of the order size allows traders to have greater control in classifying their trade positions. No fundamental ownership: CFDs don’t require the trader to own the underlying equity, index or commodity. Thus as a trader, you are free from the risk of having to own the underlying physical instrument. 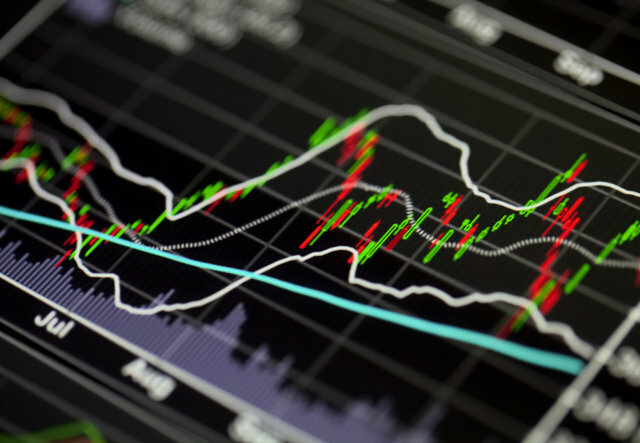 Dividends: Similarly to the share market, CFD trading gives you access to dividends. Holding the CFD before the ex-dividend date entitles you to the precise dividend the share is offering. For example, if you are on Barclays Bank shares and you have 2,000 CFDs a day before it goes ex-dividend, you will get paid similar dividends to the shares. If Barclays pays a $ 2.05 dividend, you will receive the same amount with your CFDs which is 2,000 * $2 = $4,000. No Expiry: You can hold a position for whatever period you want (trend trading) without worrying about taking delivery of the physical stock. This is in contrast to options which have an expiry date and time expiry. Time expiry is when the price of an option declines as the expiry beckons. CFD traders can hold their position for minutes, days, months or years. Volatility: Prices move rapidly and unexpectedly in financial markets. This is can be as a result of economic news, earnings announcements, political changes, or natural disasters. Volatility may bring trading opportunities but the risks involved are high. A wise trader should be cautious in periods of high market volatility. Leverage: As discussed earlier, leverage can boost your earnings but also have the opposite effect of amplifying your losses. It’s good practice to have enough funds in your account to cover sudden movements in the market. It can also help you keep your open positions and avoid an automated margin closeout. Counterparty: This is the risk that a counterparty will not honor their obligation. The risk is higher when trading with a CFD provider who is under-capitalized or unregulated. Short selling in a falling market: If you sell a product you think will fall in value and your prediction is correct, you can buy it back at a lower price for a profit. If you’re wrong and the value increases (after you’ve sold), you’ll make a loss – which can exceed your deposits. Overtrading: Many traders who over trade are within breakeven for a certain period, and sometimes they can make small profits. But most of the time they end up in a losing cycle. The two main methods of trading in CFDs is the Direct Market Access (DMA) and the Market Maker model. There is no superior or inferior method since both have their own advantages and disadvantages. For a novice trader, you’re better off doing your own research or talk to different CFD brokers to find out their preference, and reasons for selecting one over the other. If you are a novice or beginner broker, it’s wise to get as much information as possible about CFDs. Once you are knowledgeable enough, engage a regulated broker who will guide you on how, when and what to invest in. Choose a broker who will “partner” with you and not someone who is after brokerage. Our award-winning CFD trading platform provides access to over 10,000 global instruments, at competitive spreads and margin rates.